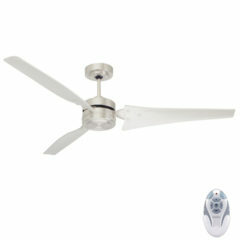 The Loft is a high performance 3 blade ceiling fan that is also engineered to operate using less energy than many conventional ceiling fans, so much so that it has earned the accredited energy star rating. 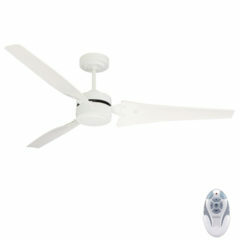 The modern design of the blades add to the fans superior performance, with aerodynamic blades made from plastic. 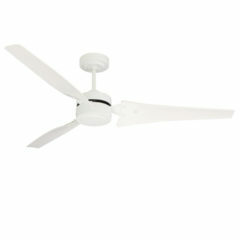 The blades are also designed to be easily cleaned (chemical resistant) which is an added bonus! 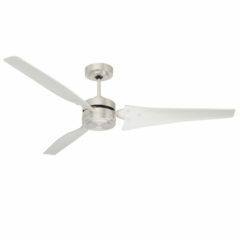 Finally the 60″ blade span ensures this beautiful industrial fan makes a real statement!